March Madness — aka the NCAA Division I Men’s Basketball Tournament — begins on March 17 with Selection Sunday and concludes April 8 with the Final Four. The women’s tournament coincides closely with those dates as well. Office bracket pools will begin and result in distracted co-workers as the “madness” encourages fans to root for expected winners while bemoaning busted brackets due to upsets and Cinderella stories. From a collegiate athletic viewpoint, “fortunes” rise and fall as teams either win or go home. 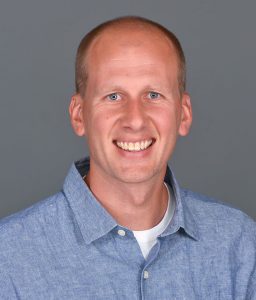 In 2017, Dr. Chad Carlson, associate professor of kinesiology and director of Hope’s general education program, published Making March Madness: The Early Years of the NCAA, NIT, and College Basketball Championship Tournaments, 1922-1951 (University of Arkansas Press). A collegiate basketball athlete himself, Carlson focuses his research on socio-cultural aspects of sport in the areas of philosophy and history of sport and their role in cultural trends. He is also especially interested in the connection between sports and Christianity, and in October 2019, he and Calvin College colleague Dr. Brian Bolt will direct the Second Global Congress on Sport and Christianity in Grand Rapids, Michigan.